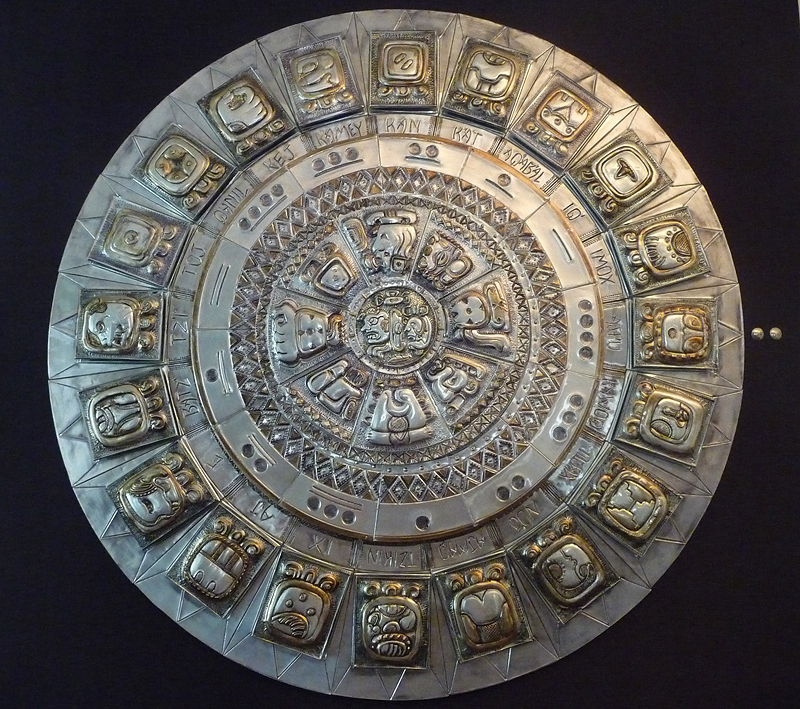 Our new 2012 Arte Maya Calendar features a detail of the painting of texeles in Santa Catarina Ixtahuacan on the cover. 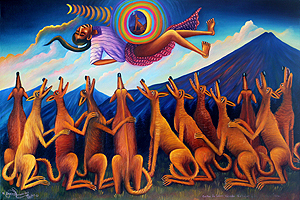 The artist, Lorenzo Gonzalez Chavajay, died in 1996. Like Grandma Moses, he had taken up painting late in life when he retired. Lorenzo painted things he remembered from his lifetime, customs and traditions that had changed during his life. 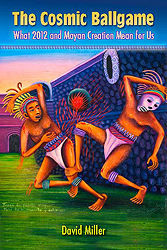 Lorenzo developed a style of painting that is unique among the Maya artists. 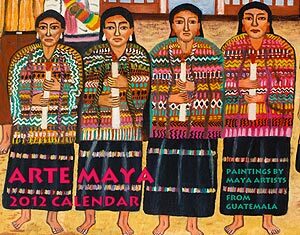 The 2012 calendar, as in previous years, has original paintings by twelve different Maya artists. 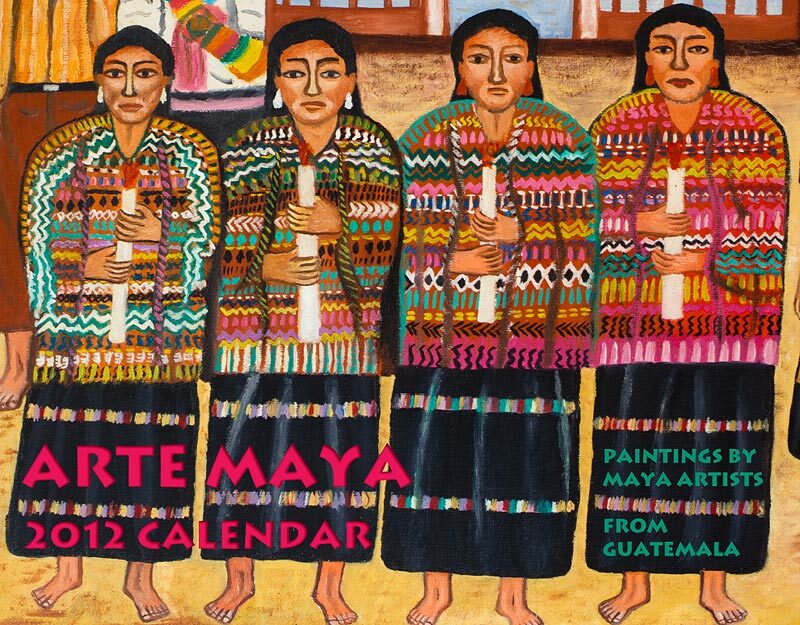 The paintings of three women artists highlight the calendar. 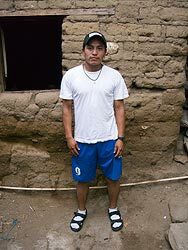 Among the population of Maya artists, there are only a handful of women painters whereas there are hundreds of Maya men who paint. The twelve artists featured in the 2012 calendar come from three Maya towns: two where Tz'utuhil and one where Kaqchikel is spoken. 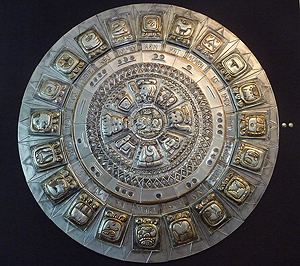 David Miller devoted a lot of energy to researching the Maya creation story, the Popul Vuh. Miller devotes most of this book to narrating the action of short segments of the Popul Vuh, and to sharing his understanding of each segment of events. He ties the Popul Vuh to the reign of 18 Rabbit, one of the important Maya rulers of Copan, and to modern day ball games. Miller interprets this all from a feminist perspective in light of the ending of the Maya cycle in 2012. 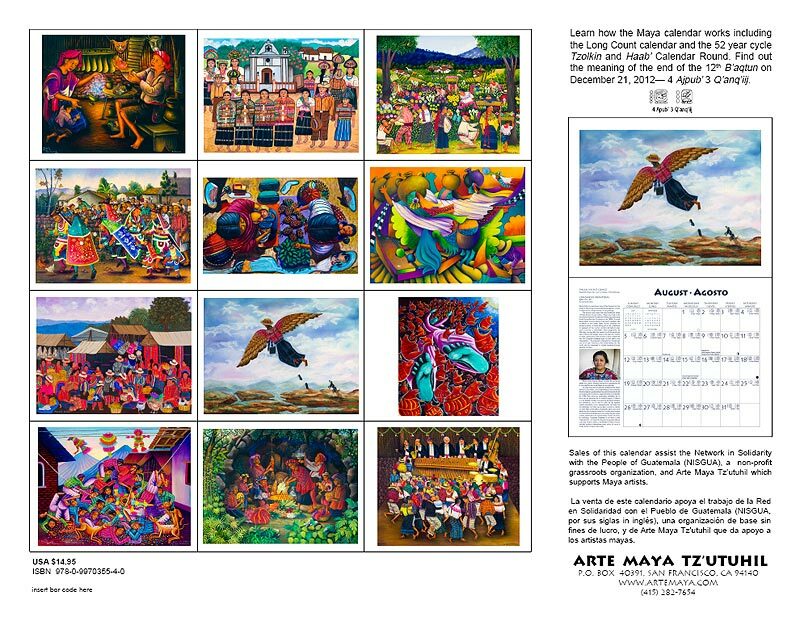 The front and back covers of the book are illustrated with paintings by a Tz’utuhil Maya artist, Diego Isaias Hernandez. This book is available in both Kindle and Print editions from TheCosmicBallgame.com and from Amazon. 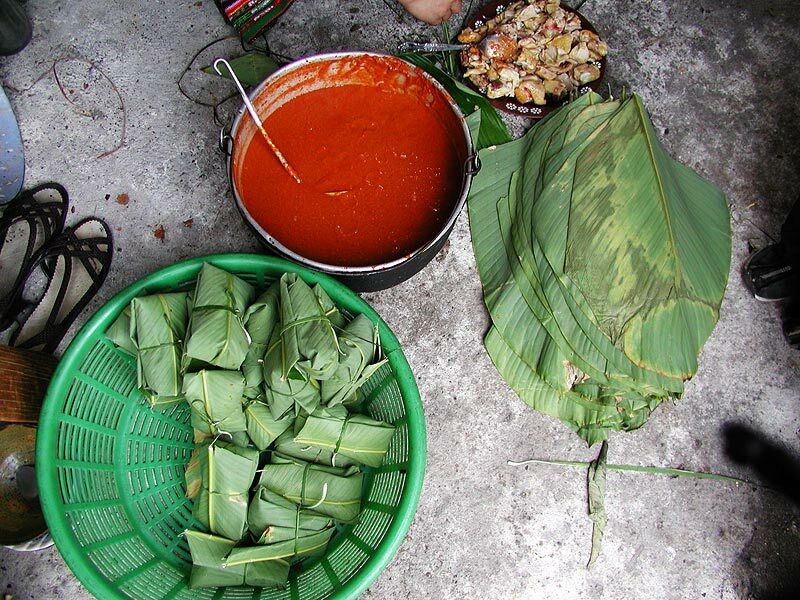 The downturn in the economy has affected everyone including Arte Maya. We continue to buy paintings from most of the artists so that they can continue do things such as send their children to school. However, more money is going out than coming in. We are having a one-week half-off sale (until Saturday, December 4) on the paintings of three artists. Hopefully this will help us to continue supporting these artists. 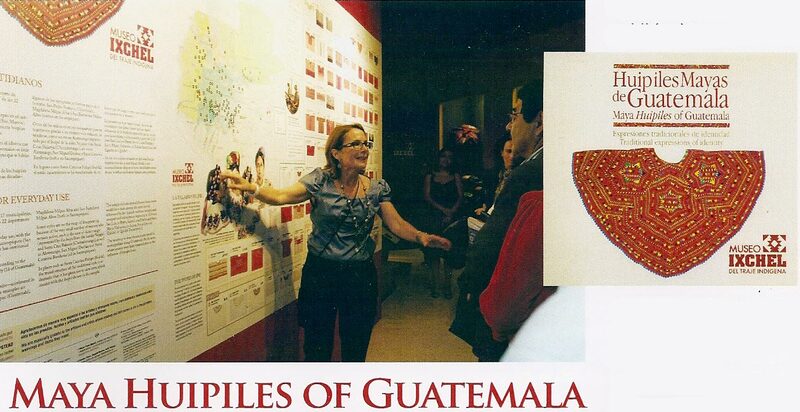 The Ixchel Museum of traje [native Maya dress] in Guatemala has just published a fold out map (or unfolded as a two-sided poster) identifying huipiles [Maya blouses]of the 117 Maya communities. Currently this is the best publication for learning what town a huipil represents. It is not yet available on the Ixchel Museum website, but can be purchased for $15 by ordering from foiminfo@gmail.com. 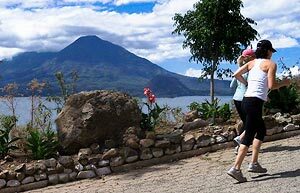 Indigena Imports, www.huipils.com, run by collectors Sally and David Hamilton is an excellent U.S. source for the finest quality huipiles. Nimpot in Antigua is the most inclusive source in Guatemala, and Nimpot has a wonderful website. AMIDI in Healdsburg California, amidiguatemala.org, is a non-profit that supports the Maya weavers of Pachay las Lomas. 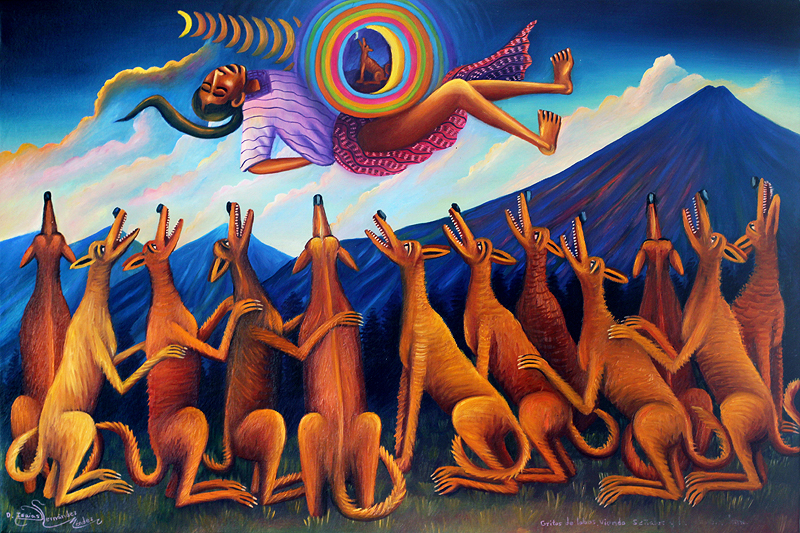 "In the center circle or disc is the cargador, which is the Nahual [spirit] in charge of irradiating with its energy the year to which it corresponds. There are 4 cargadores which are changed every year. This regarding the Haab or Sun Calendar. The 4 cargadores are included with the calendar and can be easily changed. Then there´s the second circle or disc which is the one that tells the month (20 months in the Tzolkin calendar an 18 months in the Haab'. The last circle is the one that indicates the day which goes in 13 numeral cycles in the case of the Tzolkin and 20 day cycles in case of the Haab (Once one cycle has ended a new one begins)."